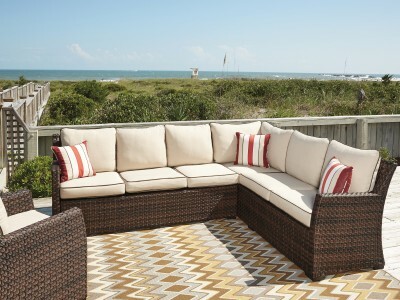 The Salceda outdoor sectional set has the smoothly woven wicker lines you love and indoor comfort you crave. 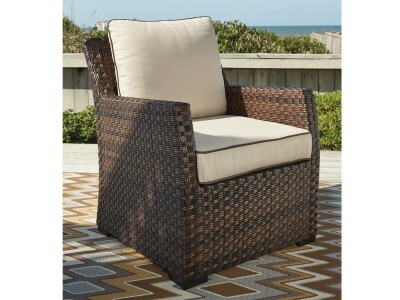 Thickly cushioned L-shape sectional and lounge chairs easily seat seven guests. 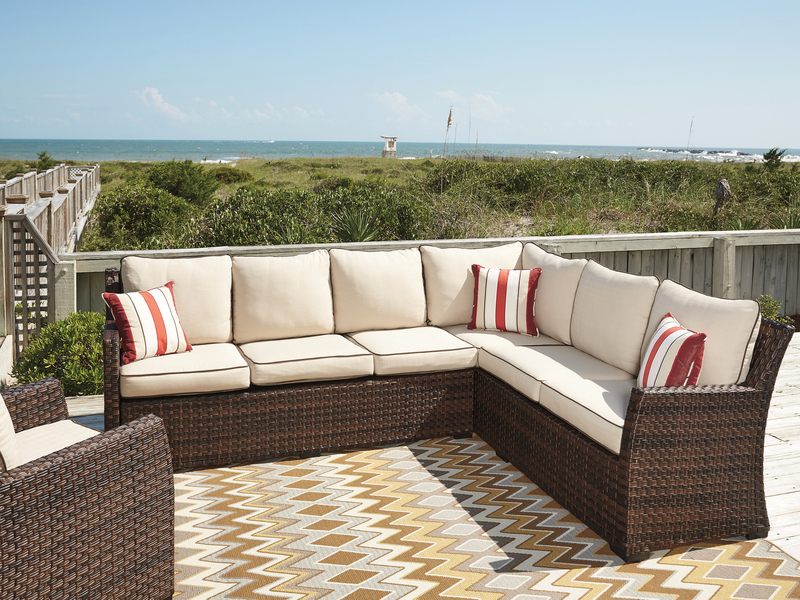 All-weather Nuvella™ cushions and throw pillows pile on the comfort. 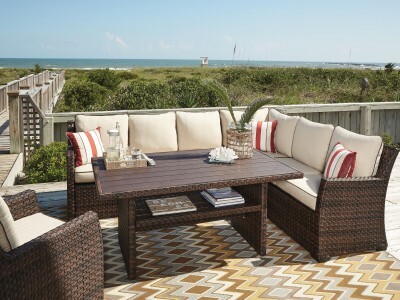 Because the cocktail table is higher than ordinary tables, you won't have to bend over to reach for drinks——plus the planked top is easy-care stain-resistant resin.